A Cherry Picker is an elevated work platform. 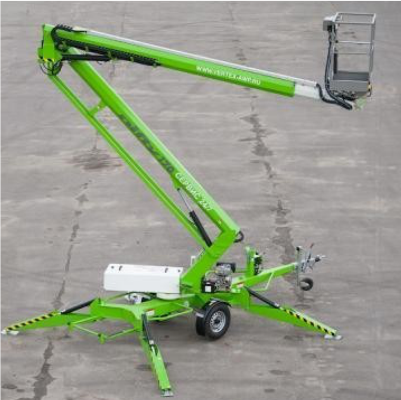 It is a type of aerial work platform that consists of a platform or bucket at the end of a hydraulic lifting system. A Scissor Jack is a jack for heavy lifting, operated by a horizontal screw that raises or lowers a frame it is idea for elevated work. We are stockists of Nifty, JLG, Gene and Haulotte equipment for elevated work.